No matter who your students supported, many of them will feel that same powerlessness and want to take some form of action. As history educators, we can use examples of the past to introduce students to the power they have to create change in America. Much of what is published in textbooks or other school publications concerning the landmark Supreme Court Brown v. Board of Education case looks at the actions of the lawyers or parents involved in the lawsuit. The greatest tragedy in that narrative is that it takes student action out of this important history. In 1951 Barbara Johns, a junior at the segregated Moton High School in Farmville, Virginia, secretly organized her fellow classmates in the school’s auditorium. At that meeting, she convinced her classmates to stage a strike against the unequal conditions in their segregated school and they marched to the courthouse to file their complaint. Unlike the other cases that came together as Brown v. Board of Education, the lawsuit from the students in Farmville, Virginia was the only case organized by students. In the four other courts case, including the Kansas case of Brown v. Board of Education, the actions to challenge the constitutionality of segregation was led by the NAACP, local attorneys, and parents. Additionally, in each of the other communities, those organizations that were led by adults were only able to gather a handful of people to participate in the court case. For example, in Topeka, there were only 13 families listed as plaintiffs. Barbara Johns not only organized her entire student body to take action against injustice, she ended up being the largest recruiter for plaintiffs in the court case of Brown v. Board of Education, bringing in 117 plaintiffs. The strike she led made headlines across the nation and encouraged the NAACP to offer their help, bringing Davis v. Prince Edward County School Board into the class action suit of Brown v. Board of Education. 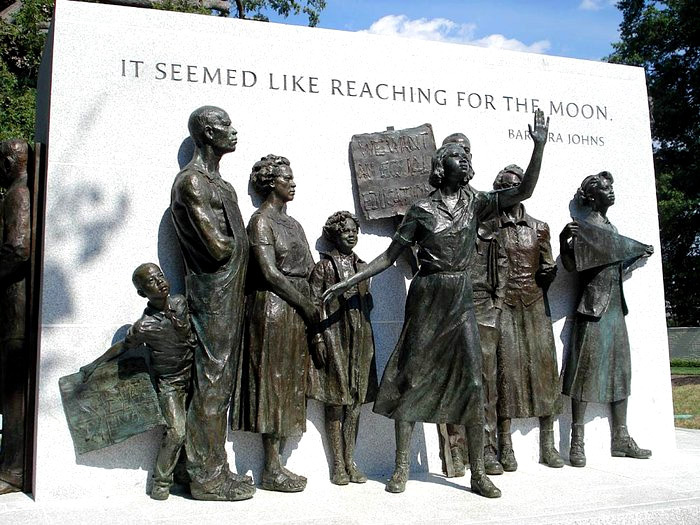 Your students can find out more about Barbara Johns by visiting the Brown v. Board of Education National Historic Site. During their visit, they will learn about student actions after Brown v. Board of Education. Students were on frontlines of other battles to desegregate schools. The Little Rock Nine in 1957 and Ruby Bridges in 1960 ensured that Brown v. Board of Education was enforced by taking the action of going to school in the most difficult physical and emotional conditions. Despite every obstacle placed in front of them and the daily harassment they faced, those students redefined the word courage and helped ensure the progress of civil rights in America. 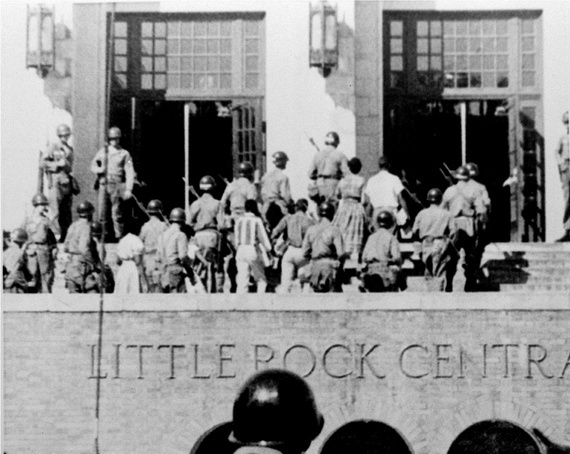 The heroic actions of the Little Rock Nine are now enshrined at Little Rock Central High School National Historic Site. In the summer of 1961, college and high school age students boarded Greyhound buses and other interstate buses to challenge segregation laws in interstate bus terminals in the South. In Mississippi, they were arrested for “disturbing the peace” and were sent to prison for two to three-month sentences. That sentence meant that not only would they be in jail their entire summer break but that the sentence would be spent in the notorious Parchman Penitentiary. They were willing to sacrifice their summer to bring that nation’s attention to non-compliance of federal court orders to desegregate bus terminals. 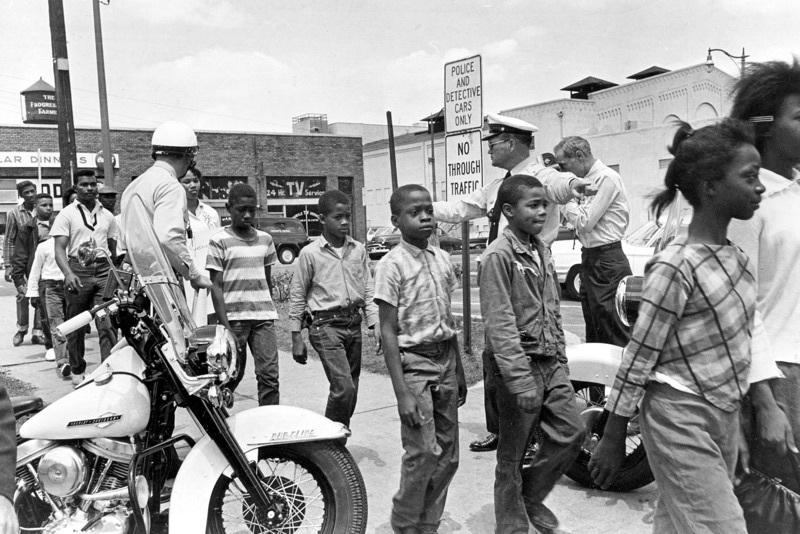 In 1963, hundreds of children in Birmingham, Alabama left their schools to discuss segregation with the mayor of the city but along the way they were stopped with fire hoses, police dogs, and mass arrests. Their actions were on display on the nightly news across the nation in what was called the “Children’s Crusade” or “Children’s March.” The nation responded by encouraging Congress to pass the 1964 Civil Right Act. History, especially Civil Rights history, shows the power that students have and how they can make change in America. Mock voting can be engaging but it can leave students feeling powerless and unaccounted for in our democracy. We need to ensure that their opinions do matter and their voices can be heard. As educators, we don’t even need to look to past generations for examples. There are plenty of examples today of students taking action, such as student-led fundraisers for a fellow student in need of medical care, student-led protests against policy changes in schools in Colorado, or students addressing their local school board about textbooks in Texas. No matter how your students feel about the outcome of this year’s election, there is something they can do to make change even if they are not old enough to vote.